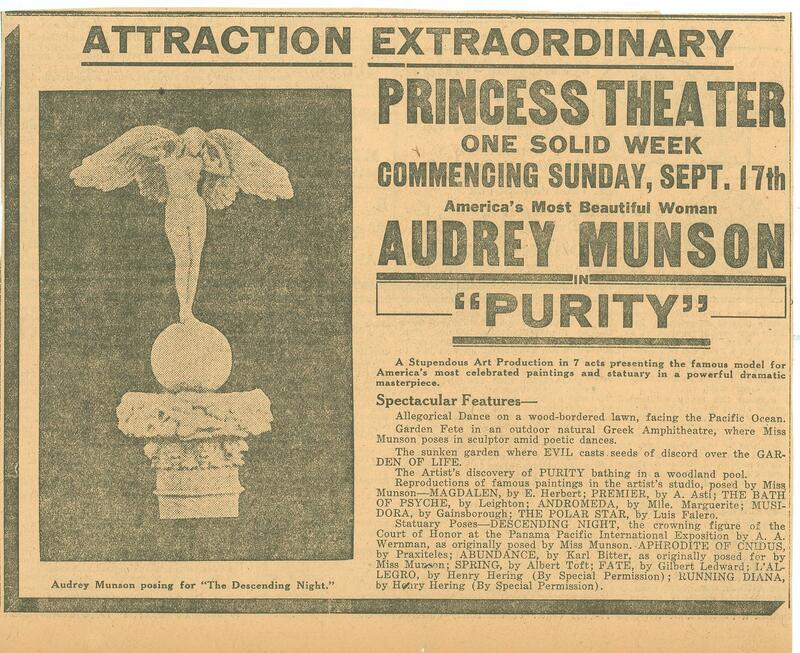 “Purity,” the most daring picture ever made, is currently at the Grand Opera House starring Audrey Munson, the world’s most perfectly formed woman. Lower floor, 20 cents; balcony 10 cents. San Antonio drivers with outstanding parking tickets had until 8 a.m. to settle up with the city or risk getting “booted” as the city begins installing Auto Kuff immobilizing devices on the cars of violators. Cars with “boots” cannot be moved until the driver pays a $25 fee to remove the device plus all outstanding tickets.